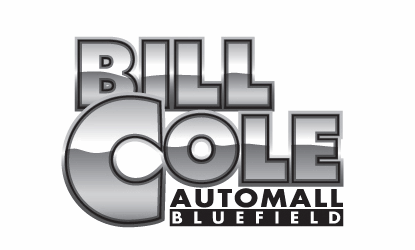 Since go-live, Pearl 360 has averaged an incremental 30 transactions per month for Bill Cole Auto Mall, located in Bluefield, WV. We sat down with General Manager Jason Cole and his team to learn how Pearl 360 is driving results for their store. 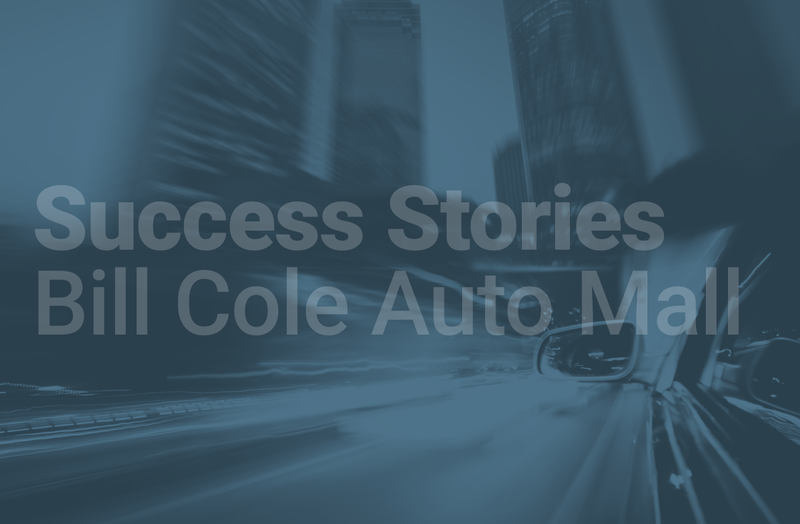 How has Pearl 360 impacted the day-to-day operations at the dealership? Jason: Out of the gate, it has been tremendous with helping us identify and work opportunities in the service drive. We’ve been averaging a car a day off of Pearl 360, which is about 30 cars a month. Where are you seeing the most success in terms of sales, new cars or used cars? J: Definitely new car deals. We’re a Honda Nissan Subaru Kia dealership, so we have four stand-alone service drives. We are seeing a lot of success selling new cars, especially from the hot leads Pearl generates. We’ve seen our biggest boost in Honda. I believe this is due to our managers’ engagement in Honda with our 360 representative, combined with the better trade values on Honda. Another reason Honda is doing so well is the new sensing technology that’s been added to most 2018 models. Honda sensing includes adaptive cruise control, lane keep assist, emergency breaking, lane departure warning, and street side recognition. This allows us to upgrade a customer to their exact vehicle and model and still give them a ton of extras. J: We’re calling the customer prior to their service appointment and offering them a complimentary appraisal, and customers have been very receptive. How are things going from a vehicle acquisition perspective? Are the units that you are acquiring being retailed? J: Definitely retail. Pearl 360 has definitely helped increase the size of our used car inventory. I’d say we’ve retailed almost every vehicle we’ve brought in from the program. J: I implemented a BDC appraisal process that has been extremely successful for us, and that was the starting point. I’ve put a salesperson in place to solely work all the hot leads on the phone and in the service drive, he’s been very effective in that role. I’ve also looped in my internet department to work the VX Gold leads, simply because the volume of opportunities is too much for one person to handle. You said you did 30 cars with Pearl 360 last month. Are you satisfied with that? Is that your goal moving forward? J: Absolutely. 30 more cars a month makes a huge difference and as we continue to improve our process we’ll continue to see that number grow. Another nice part of Pearl is that the gross on these deals have been great, not to mention all the low mile one owner great trade-ins we’re acquiring. As our internet department starts to build a pipeline of VX Gold leads we’re working I believe we can start growing our numbers into the 40’s if not 50 deals a month from Pearl 360. What’s your profitability like on these units? Are you satisfied? 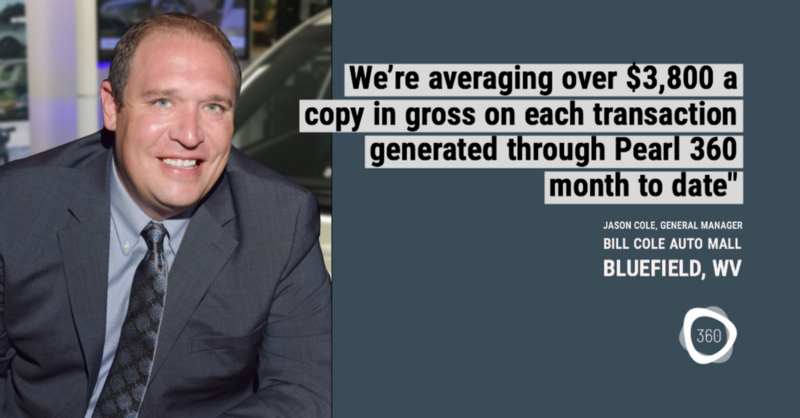 J: We’ve made great gross on the units we’ve sold, and we’ve certainly made great grosses on the vehicles we’ve taken in on trade. We’re not a high volume store, so maximizing every opportunity we get is crucial for our bottom line. Are you less reliant on auctions and aggregators as a result of Pearl 360? J: Absolutely. We try to avoid the auctions as much as possible. We’re working hard to really get Pearl dialed in so we can trade or buy enough inventory from consumers to stock our lot, do off-site sales, and stock our satellite lot, without going the auction. We don’t use any of the aggregators, Cars.com, AutoTrader, CarGurus, none of them. We can’t keep up with the constant pricing adjustments and strategies required just to keep our inventory on the first page of those sites. In our market, the V-Auto mentality would put us out of business. What feedback have you received from the consumer? Frankie: It’s been good. You will always have your customers that are wary about what we are doing, why are you talking to me, but we always take the soft-sell approach. Sir, we just want to give you a complementary appraisal and see if we can find a way to help out with your situation. With as many brands as we have, we can usually find a way to approach any situation. We are able to pinpoint people in terms of payments and their interest rate, how long they have had the vehicle and really assess their situation, and then deliver value, legitimately lowering their payment, upgrading their safety features, getting them into a newer vehicle, instead of just forcing them down the path of the same make and model. What is your favorite component of Pearl 360 and why? Jennifer: For my team, I think the best thing is being able to simulate the customer and build out their payment, look what options are available, and see how it would change their monthly payment. We had one of our finance managers build out the same deal that we had in Pearl 360, and we were within $5 of the payment that Pearl 360 gave us for that customer, with taxes and fees and everything included. I think that is our favorite part of system because we are much more confident in extending that offer to the customer when we know it is going to legitimately fit their situation. What’s improved over the previous systems you have used? Jennifer: When we had used AutoAlert, their system would tell us that we can lower a customer’s payment by $20, or $50, and then the customer gets here, and that didn’t include tax, title and license fees, and in reality their payment was going up $150. We would present all of this to the customer, but when it came time to actually do the deal, the numbers would be way off. We had this same problem with Team Velocity as well. If you could offer one piece of advice to a new Pearl 360 dealer to help them achieve success, what would it be? Jennifer: Honestly, I would tell them that you need to put at least one individual in charge of the 360 program and the program is their entire focus. That’s what makes it successful. Sign up for a demo of Pearl 360 here and learn how we drive results for our clients everyday. Originally published at www.pearlsolutions.com on July 30, 2018.